NATURINA ELITE KITTEN with BEEF is a complete and balanced wet food for kittens of all sizes. 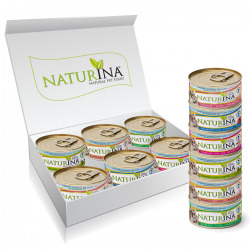 NATURINA ELITE TUNA SLICES is a complementary and balanced wet food for cats of all sizes. NATURINA ELITE TUNA whit SHRIMPS is a complementary and balanced wet food for cats of all sizes. NATURINA ELITE TUNA with HAM is a complementary and balanced wet food for cats of all sizes. 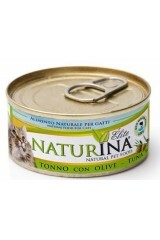 NATURINA ELITE TUNA with OLIVES is a complementary and balanced wet food for cats of all sizes. NATURINA ELITE CHICKEN and TUNA is a complementary and balanced wet food for cats of all sizes. NATURINA ELITE CHICKEN FLAKES is a complementary and balanced wet food for cats of all sizes. NATURINA ELITE CHICKEN with BEEF is a complementary and balanced wet food for cats of all sizes.